Last week, researchers at Sandia National Laboratories flew a tethered balloon and an unmanned aerial system, colloquially known as a drone, together for the first time to get Arctic atmospheric temperatures with better location control than ever before. In addition to providing more precise data for weather and climate models, being able to effectively operate UASs in the Arctic is important for national security. Information on temperature of the atmosphere is critical for predicting the weather, monitoring severe weather and improving climate models. Unlike tethered balloons or weather balloons, UASs don’t require helium, a nonrenewable resource, and can take off with less preparation. Thus, they can be launched from more remote locations. Most airports already collect atmospheric temperature profiles twice a day but switching to UASs with distributed temperature sensors would be better because they would be reusable and could fly more frequently, said Sandia atmospheric scientist Dari Dexheimer. Since 2015, Dexheimer has regularly flown tethered balloons out of Sandia’s dedicated Arctic airspace on Oliktok Point, the northernmost point of Alaska’s Prudhoe Bay. These 13-foot-tall balloons carry distributed temperature sensors to collect Arctic atmospheric temperature profiles, or the temperature of the air at different heights above the ground, among other atmospheric sensors. The test earlier this month was the first time Sandia has flown an octocopter in the sky above Oliktok Point. “The UAS and the balloon really complement each other in that the UAS has a smaller flight time, but it’s much more spatially diverse. The tethered balloon can stay up for a long time, giving you a lot of data, but it’s not easily mobile,” said Dexheimer. The balloon is blown by the wind, to the limits of the tether, but the UAS can be directed to precise GPS coordinates. Earlier this summer, Dexheimer and the UAS flight team, led by Diane Callow, tested the joint UAS-balloon setup at Sandia. They overcame a series of technical challenges including figuring out how to best secure and reel out the four-football-field long distributed temperature sensor cable while making sure it doesn’t get tangled in the UAS’s rotors. The sensors are vibrating wires upon which supercooled liquid water can freeze. As the ice builds up, the vibration slows, and this tells researchers how much supercooled liquid water is present in that part of the cloud. For the project’s next steps, the team hopes to add these supercooled liquid water sensors to a fixed-wing UAS and fly the UAS into the clouds. They hope to see how much the UAS ices up, determine how to mitigate the effects of icing and eventually collect useful data on cloud conditions with more spatial control than the balloon could get. Both the cloud temperature and supercooled liquid water content can be compared between the UAS and the balloon as well as with data from ground-based Atmospheric Radiation Measurement sensors also at Oliktok Point. Sandia manages the ARM North Slope of Alaska site as part of the ARM Climate Research Facility, a national scientific user facility funded through the Department of Energy’s Office of Science. “Our ability to run UASs as well as tethered balloon operations in the Arctic, and our ability to combine those measurements and computer modeling in innovative ways, allows us to really put the Oliktok facility to use for the national security and science communities,” said Lori Parrott, manager of atmospheric sciences at Sandia. Sandia is not the only institution using Oliktok Point to test UASs in extreme Arctic conditions; other institutions also fly UAS systems at Oliktok. For example, the University of Alaska Fairbanks’ Alaska Center for Unmanned Aircraft Systems Integration flew its UASs at Oliktok Point this summer through a Cooperative Research and Development Agreement with Sandia. They have a testing facility at Toolik Lake about 130 miles south, but access to the restricted airspace Sandia manages over the Beaufort Sea at Oliktok is invaluable, said Parrott. 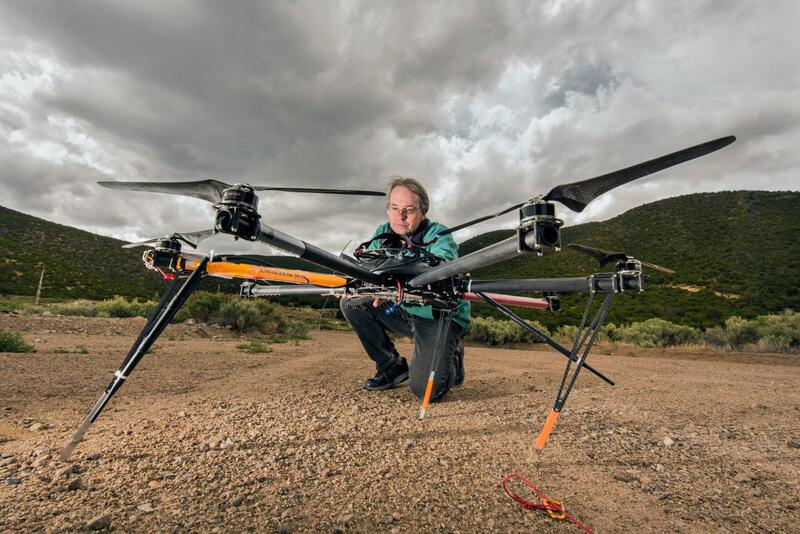 Share the post "Researchers collect more precise weather, climate data with help from unmanned aerial system"